Although the Japanese map was included for the first time in a world atlas in the 15th century, the very first map of Japan was drawn by Mahmud of Kashgar in early 11th century. Who is Mahmud of Kashgar? This article was first published in the Turkish review Erdem 3 (Ankara 1985), pp. 665-671. We are grateful to Imran Baba, editor of Erdem for allowing publication. It is said that the first maps of Japan were drawn in 646 CE by Nihongi and Gyogi Bosatsu who emmigrated to Japan from Korea in the 8th century. The first Japanese map, to survive until the 20th century, and which is still referred to frequently is the one which was found in the Temple of Ninna near Kyoto, and which was dated 1303 . The Japanese came to know the Europeans in the 16th century and were influenced by the techniques the Europeans used in map drawing, an influence that was clearly seen in the cloth maps of the 17th century. Finally in 1779, Sekisui drew the first general map of Japan using meridians as well as scale . The Western world acquired the first batch of information about Japan through the writings of Marco Polo (1254-1322) who, during his trips to the Far East, had mentioned Burma, Laos, Siam, Java, Sumatra, Ceylon, and Japan in detail . Martin Behaim is the first geographer who gave Japan its due place on the world globe he prepared, thus acknowledging Japan in the Western world. The City Council asked Martin Behaim, who was born in Nurnberg and who had returned home after living for a long time in Portugal and Azores, to make a globe. This was the last globe, before the discovery of America that was made according to the theories of Ptolemy (150 CE) . Some new discoveries were acknowledged and errors corrected on this globe; the Far East was incorrectly drawn and Japan placed in Eastern Asia as Marco Polo had described in his memoirs. A century later, in 1543, some Portuguese ships seeking refuge from the storm, found shelter along the Japanese coast and were welcomed warmly by the natives. During their stay, they became so friendly with the natives that they even allowed the Japanese to model their new guns after the ones the natives had seen and admired aboard. After a while, Frances Xavier, along with two Jesuit priests came to Japan to establish a commercial company . Despite the fact that America had been discovered and Europeans were already travelling to Japan and back, in the map of Eastern India Ortelius drew in 1570, Japan was shown as a round kite with a long tail . Ortelius apparently was not satisfied with this because later in the same year, he drew another map of Asia and had it printed in the same almanac as before, but this time he had drawn Japan in a different way. Later, Mercator, in his map of Asia copied the shape of Japan from Ortelius . Many incorrect maps were produced after these two. However, in the 17th century, Guillaume, who took an active interest in map-making saw that even the most so-called "reliable" maps were full of errors and pointed out the need to base map making on scientific facts and observations. He also emphasized the need to find answers to such questions as to whether Japan was an island or not. What sort of a city was Moscow? 'Was it as cold as it was rumoured to be? Did the Mediterranean extend from the East to the West as Ptolemy said it did? These and a thousand questions similar to these did not have any definite answers in the eyes of the 17th century geographers . Finally in 1759, Sieur Robert succeeded in drawing the very first correct map of Japan. Let us go back to the eleventh century and Mahmud's book, Divânu Lügati't-Türk. 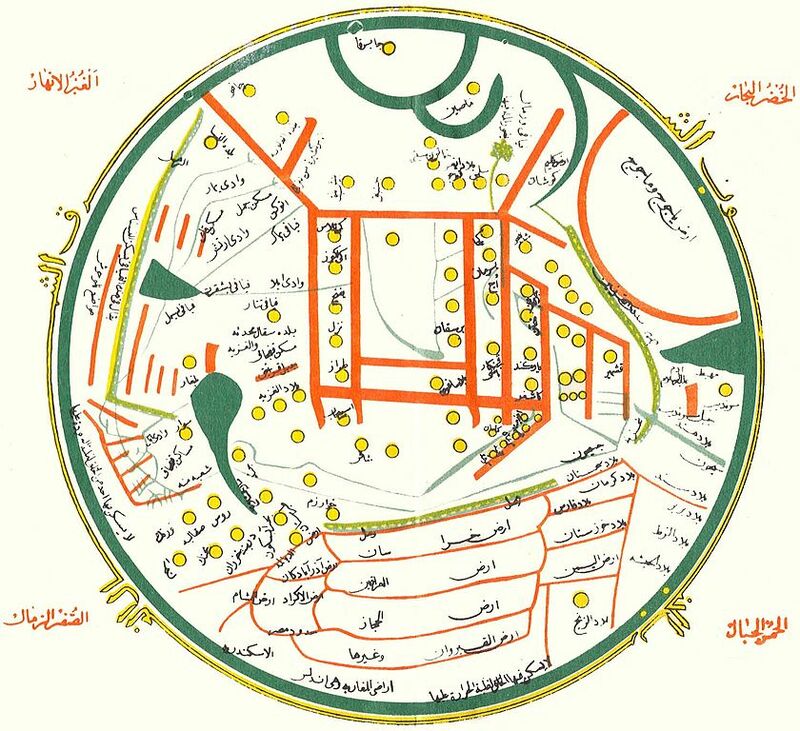 In this book, Mahmud stated that the regions of all the Turkish tribes from Europe to China were included in full detail within a circular map, which, as he pointed out, was drawn in order to indicate the regions the Turks inhabited . Around this circular map the East, West, North and South were shown as well as some seas and rivers. The places indicated in the West ranged as far as Itil where the Kipcaks and the Franks lived. In the southwest Ethiopia, in the south India, in the east China and Japan were indicated and in the centre Turkish cities such as Yarkent, Kashgar, Barsgan, Balasagun, Yifruc, Ikiokuz, Asbuali, Kumri, Talas were present. The western, northern and southern parts of Asia were left undrawn but despite the fact that the map was full of errors, the data about the eastern regions were correct. Mahmud showed the Great Wall of China on his map and mentioned that this wall and high mountains acted as natural obstacles preventing him from learning the Chinese language. He also stated that Japan shared the same fate, being an island in the eastern part of Asia . As it was mentioned previously, the first Japanese map was drawn in the 14th century and it was included for the first time in a world atlas in the 15th century. However, when the information given above is taken into consideration, one can say that the very first map of Japan, although it had many errors and was just a crude drawing, was drawn by Mahmud of Kashgar in the eleventh century. 4. Who is Mahmud of Kashgar? 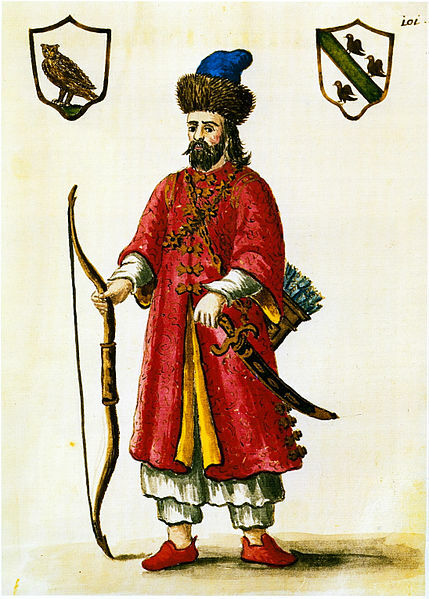 Mahmud was born in Kashgar and belonged to a noble family who were called the Hamirs, a name which was the counterpart of Amir among the Oguz tribes. We learn that he was of the family of Karahan through his own writings. His father Husein had emigrated from Barsgan to Kashgar where Mahmud was born. The definite dates of his birth and death are not known. If we consider the fact that he had completed his famous book in 1071 and that he was quite old by then, one could say that he must have lived in the eleventh century . He had a very good education, studying Islamic sciences and learning fluent Arabic and Persian. He also travelled extensively in the Turkish regions, learning all the dialects of his native tongue, Turkish, and at the same time observing their traditions very closely. He mentioned in his book that he had travelled all along Sirderya. Mahmud had the reputation of knowing Turkish history, geography, and folklore very well . As he pointed out in his book, like many other natives of Kashgar, his family also emigrated to Iraq from Kashgar in the retinue of Terken Hatun, the wife of Malik Shah (1072-1092), during this period. Iraq was, by then, one of the most important cultural centres of the Islamic World and for this reason it was quite usual for people involved in scientific research to come to Iraq. 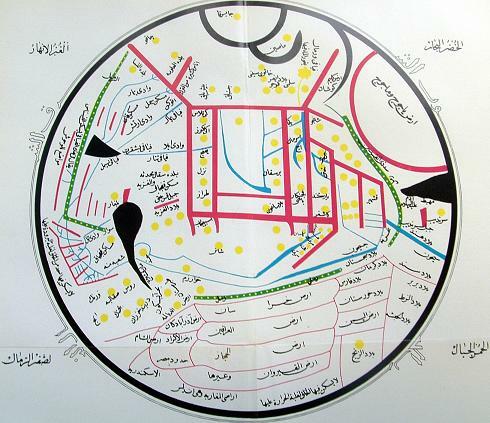 And besides, around this time Baghdad came under Turkish influence and it was the Turks who kept the Caliphs in power. Mahmud started to write his famous book on 25 January 1072 and finished it in February 1074. Although he wrote it during the rule of the Caliph Al-Kaim, he dedicated it to Caliph Muktedî Billah (1075-l094). As seen in this speech, Mahmud of Kashgar was a scientist who believed firmly in what he set out to do, and an admirer of the Turks and a patriot. 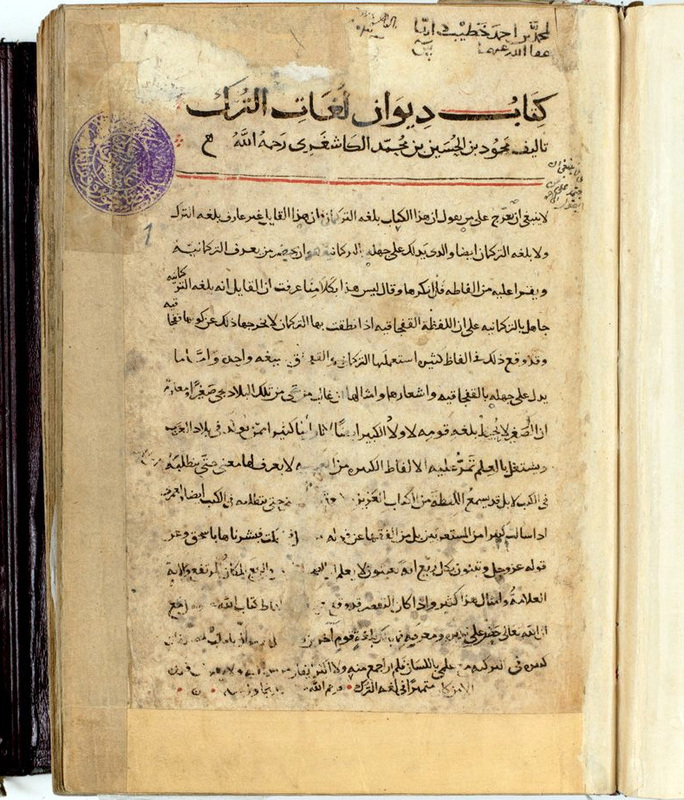 Today, we have only one copy of the Dîvân, copied in August 1266 by Muhammad ibn Abî Bakr ibn Abî al-Fath al-Sâvî who was originally from Sâva, a village in Persia, and who settled in Damascus later. Sâvî writes that he copied this from Mahmud's original manuscript. Since the copiest did not know Turkish well and could not master Arabic, this edition is full of mistakes. The Dîvân was used quite frequently by many scientists in later years. 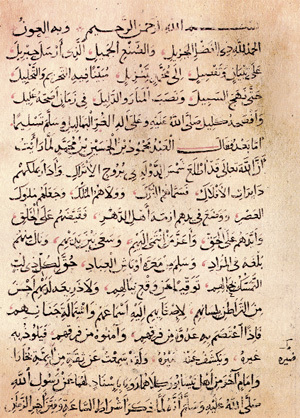 Badr al-Din Mahmud, known as Aynî, of Antep, in his book Ikd al-Cumân fî Tarîh ahl al-Zamân and Hajji Khâlifa in his Kasf al-Zunûn mentioned the Dîvân. However, it was ignored and almost forgotten for years until Ali Emiri (1857-1923) got hold of Sâvî's copy and with the intercession of the grand Vizier, Tal'at Pasha (1874-1921), the Dîvân was printed by Rifat Bilge (1873-1953) and, soon after, drew the attention of almost all Turcologists in the world. The first Turkish translation was made by Rifat Bilge, followed by those of Atif Bey of Konya; Besim Atalay and several Turkish scholars interpreted it . The first Turkish translation was made by Rifat Bilge, followed by those of Atif Bey of Konya; Besim Atalay and several Turkish scholars interpreted it. The Dîvân attracted the interest of the Western world. 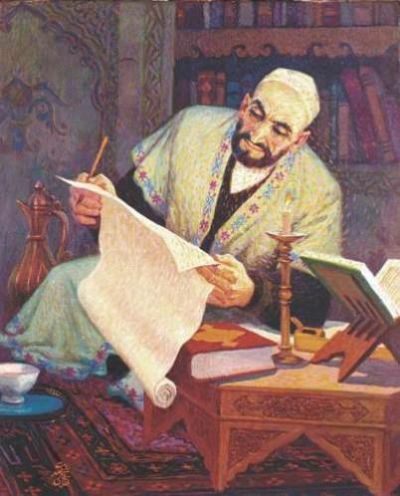 Brockelmann's research on Mahmud of Kashgar and the later English translation of the Dîvân by Dankoff as well as the articles of James Kelly were included among recent studies on this subject . This book was written in order to teach the Arabs Turkish and to prove that it was as important and equally developed a language as Arabic. The text is Turkish, the explanations Arabic; it was prepared according to the rules of Arabic and consisted of eight sections. The words in each chapter are arranged according to the Arabic alphabet. The writer also said that only eighteen letters were used in the Turkish alphabet. While there were seven letters which were used in speaking but not writing, the letter of pause should have been added to the alphabet. The writer used the East Haqaniye and Oguz dialects in the Dîvân and added Turkish sentences, proverbs, and popular verses so that the meanings of the words would be understood better; although the Dîvân was a dictionary, it also provided information about Turkish grammar rules. Mahmud also emphasized that those who did not mingle with the Persians, who did not travel to foreign countries and knew only one language spoke it correctly; and that those who travelled to big cities and spoke two languages had faulty speech. He also stated that the Chinese and Upper Chinese spoke Turkish quite well although they had a different language. The same was true for the people of Tibet and Hotan who had different languages and scripts. The Uygurs spoke Turkish and used the Turkish alphabet, but they also had different dialects like Comul, Hay, Yakubi, Tatar, and Basmil. The tribes of Kirgiz, Kipcak, Oguz, Yagma, Cigil, Ugrak, Caruk spoke pure Turkish. Tribes like Pecenek, Suvar, and Bulgarians in Europe shortened the last syllables of words. Mahmud concluded that the best Turkish was spoken by Oguz and Yagma tribes. As he himself pointed out, no one had produced such a study before him. There is no similar work prior to the Dîvân that put the Turkish language into writing. We learn through this book that the classical and literary dialects of the Turkish language were formed in the eleventh century. 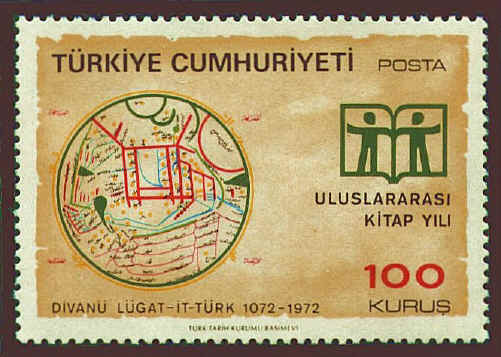 We can say as a conclusion that Divânu Lügati't-Türk is indeed a milestone and a very valuable source of reference for the history of Turcology. R. V. Tooley, Ma/is and Map Makers, London 1952, id ed., p. 107. L.A. Brown, The Story of Maps, Canada 1953, 5th ed., p. 106. B. Atalay, Divânu Lügati't-Türk Tercumesi, Ankara 1940, vol. I, p. 30. Atalay, p. vol. I, p. 4. Atalay, p. vol. I, p. 3-4. Atalay, p. vol. I, p. 351-352. Kashgarli Mahmud, Divânu Lügati't-Türk, translated into Turkish by Rifat Bilge, Istanbul 1917, 3 vols. B. Atalay, Divânu Lügati't-Türk Tercumesi, Ankara 1940-1943 (4 volumes). R. Dankoff and J. Kelly, Kasgarli Mahmud, Turk Siveleri Lugati, English transl, Harvard 1982. ** Sevim Tekeli is a professor of the History of Science, the head of the Department of Philosophy and of the chair of the History of Science, Faculty of Letter, Ankara University.